Finally had a chance for a lunch-time wander over to the newly refurbished Tate Modern. Wow. There's even a bar. Have not tried the negroni. I think we should make it a regular Friday thing. Tate Modern's new spaces manage to be intimate, light and dark, old and new, all at the same time. 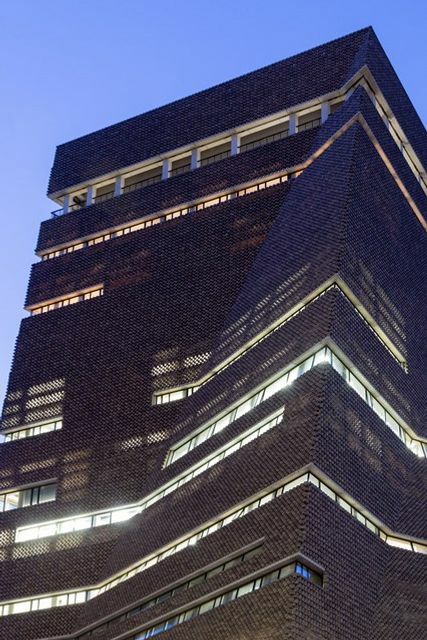 The whole building has been dramatically reconfigured by architects Herzog & de Meuron, with the new Switch House - a £260 million, 10-storey structure - increasing the Tate's size by 60 per cent.